Tara helps social-change organizations tell their stories to get noticed and unlock resources — from tackling fundraising strategy and website content to landing features in The New York Times. Tara specializes in fundraising and storytelling strategies — including messaging, content creation and campaign development. She has a track record of inspired pitches and websites, combining writing with images that inspire people to action. She has worked with topics such as immigration, economic justice, small business development, women’s issues, health care policy, and special health care needs. Previously, Tara was the chief development and marketing officer at Mission Asset Fund for seven years, seeing the organization through a rebranding while increasing the annual budget from $700K to $7M. She also served in-house at San Francisco’s Family Voices, the Los Angeles Children’s Planning Council, and taught Gender Studies at Cal State Fullerton. 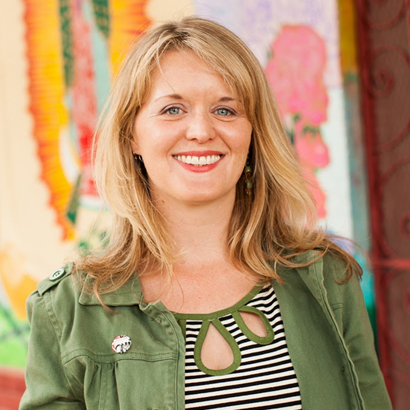 Tara was editor in chief and contributor to the Bay Area’s Golden Gate Mothers’ Group Magazine for four years, where she introduced a focus on diversity, producing the publication’s first gender issue. She lives in San Francisco, California with her college love and two sassy kiddos.